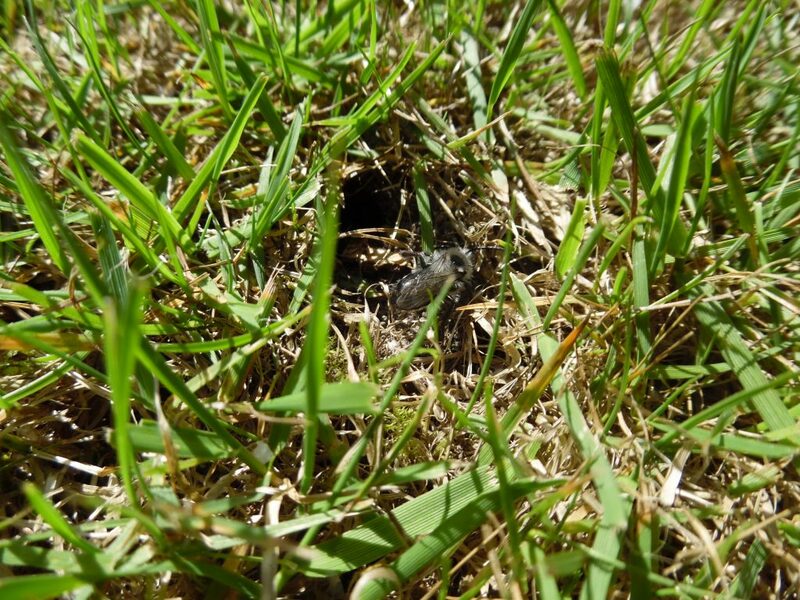 I have been seeing a lot of mining bee nests recently (Andrena sp.). It seems the hot early spring weather has set them into a nest building frenzy! These beautiful little bees build themselves curious structures that look like miniature volcanoes. 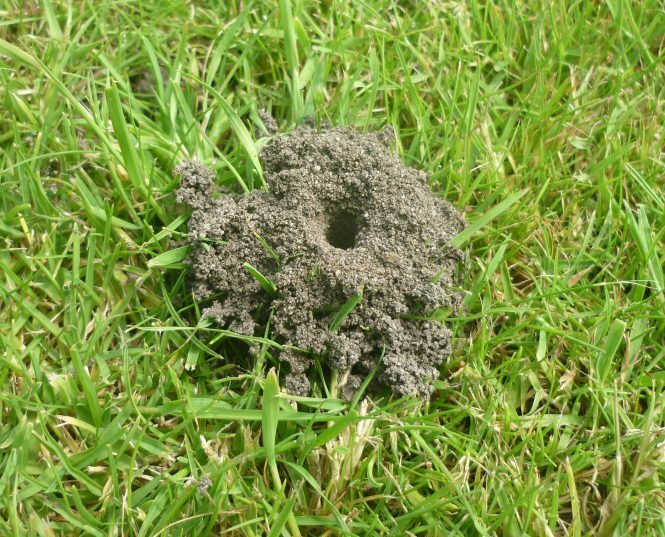 They are usually around 5cm high, made of bits of soil, usually with a hole around 4mm wide at the top. The little mound is the entrance to the nest, which is built by the female. It can go up to 60cm down, and contain many chambers for her eggs. Sometimes there may be several in the same patch of lawn, but they won’t be connected and aren’t part of a communal nest. These solitary bees are valuable pollinators in the garden, are harmless and do not sting, so my best advice is to just let them go about their business. You can brush the mounds of earth away, but they will probably just return the next day! Trying to identify the mining bees in my Kent garden. The front half in orange/ginger and the back is dark/black. So don’t think it’s a Tawny? It could be a species of Carpenter Bee. Some of these do make nests in sandy soil.